Warning! Your 6-Digit iPhone Passcode Isn’t SECURE Since GrayShift’s brute-force unlocking tool came to light, we have gradually accessed various data that let us know how GrayKey works. A “box” now held by government organizations around the globe for a small fee of nearly 25,000 dollars you can discover the six-digit PIN or password of your iPhone in less than a day. However, there is a way to complicate your task. 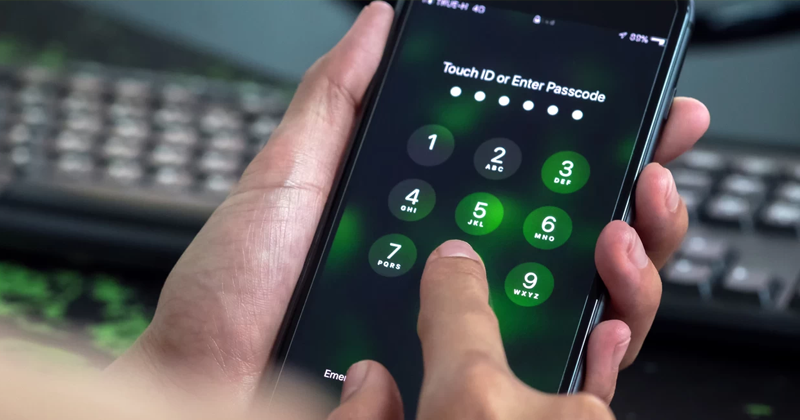 With iOS 9, the tech giant Apple modified its iPhone lock system using the PIN. This update included the option to go from a four-digit to six-digit code. However, despite this measure, tools such as GrayKey allow to find the password in less than a day. That is the information we have thanks to the methodology used by this tool owned by the GrayShift company and the studies of a cryptography professor. The process for a PIN code of only four numbers is reduced to 13 minutes maximum and an average of 6 and a half minutes. This data offers us a perspective of how extremely fragile this simple combination can be. And despite the fact that iOS has a security system that allows deleting the iDevice once the password has been entered incorrectly 10 times, GrayKey has found a way to bypass this protection system. How to change the password of 6 digits by an alphanumeric?